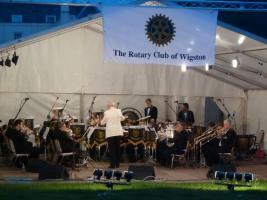 The Rotary Club of Wigston's main fund raising event is its annual Music in the Park held in the grounds of Wistow Hall and to date has raised over £105,000 for charitable causes. 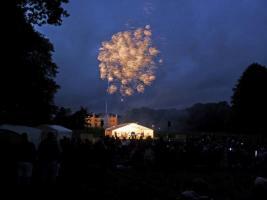 Our 2018 Music in the Park event was held on 9th June 2018. 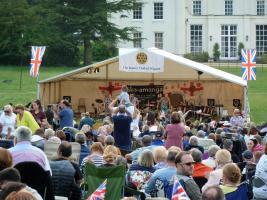 Those attending the 2018 event were entertained by Ska-aManga (a ska/reggae group) and the Ratby Band (a brass band), playing a variety of music followed by a traditional "Last night at the Proms" section. 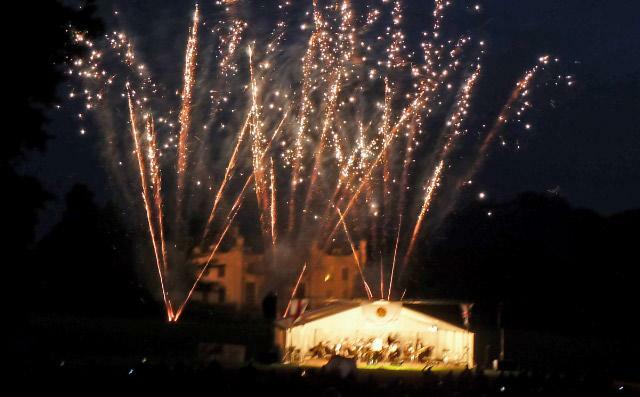 Singer, Sam Bale, also gave a superb rendition of "Writing's on the Wall" and led the singing in the "Last night" section The event ended with a fantastic fireworks display. The event usually supports two local charities, in 2018 being LOROS Hospice and Young Leicestershire. A small proportion of the profits will also go into our Rotary Benevolent Fund to support charitable needs locally, nationally or internationally. The 2018 event raised over £9,500 for these charities. The Club is grateful to the many sponsors and those individuals who help with the planning and running of the event. 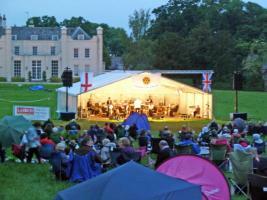 Collectively they ensure that we produce an entertaining, enjoyable and profitable evening. The 2019 event will be held on 8th June 2019 (see What's happening for more details).